We eradicate and control rabbits and moles for clients in Gloucestershire, Bristol and surrounding areas. Rabbits are a frequent pest on farms and in gardens in Gloucestershire and surrounding counties. Apart from destroying crops their extensive burrows are a danger to livestock and horses, and attract other pests. 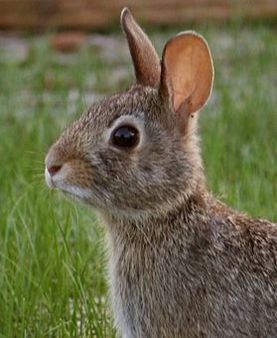 Rabbit pest control is strictly regulated by the government. It is important to use legal methods of control to suit your problem and situation. Our technicians can identify the extent of the pest problem and advise you on the best control methods, as well as most suitable times to implement them for you effectively. Contact us now to solve your rabbit pest problem. Moles do a lot of damage to fields and paddocks if they are left to multiply. The molehills make the ground unstable and are a hazard to farm livestock, horses and farm vehicles. 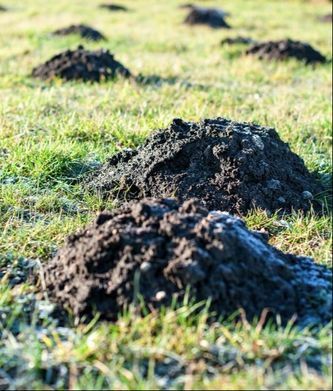 If the moles are affecting the aesthetics of a garden, typically with molehills or tunnels, or killing the lawns then they can legally be eradicated. Moles dig tunnels in order to find their main food source - earthworms. Trapping moles requires experience as they are wary creatures and readily avoid traps. Other forms of control can also be effective. Our pest control technicians identify quickly the extent and nature of the mole problem and then they will suggest and implement effective solutions to rid you of these destructive pests with alacrity. Contact us now to solve your mole pest problem. Got a problem with rabbits or moles? We are based South of Gloucester and provide comprehensive control services for rabbits and moles in adjacent areas as well. We serve clients from Dursley, Stroud, Tetbury, Cirencester, Gloucester, Cheltenham, Wotton, Berkeley, Newent, Malmesbury, Thornbury and neighbouring towns and villages, providing rabbit and mole control and eradication services.